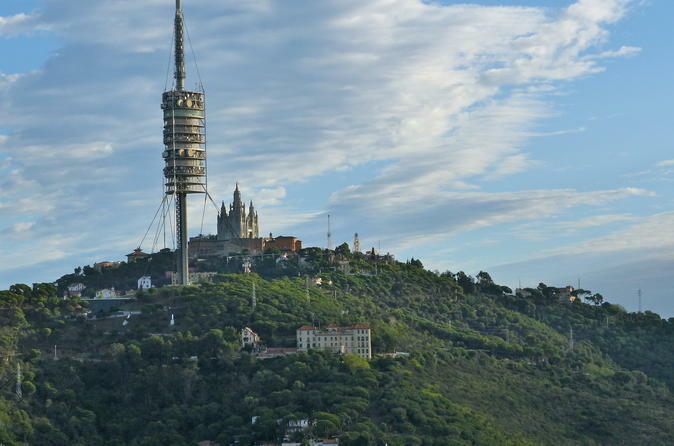 Located in the Collserola Range, the Tibidabo offers a spectacular view over Barcelona from a height of 512 metres. 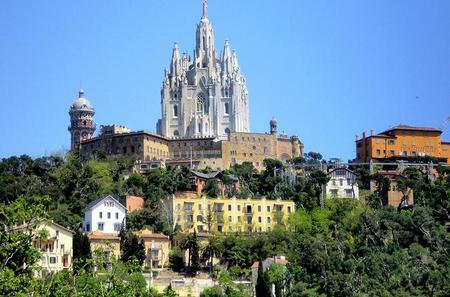 Located in the Collserola Range, the Tibidabo offers a spectacular view over Barcelona from a height of 512 metres. This is a place where according some legends, the Devil tempted Jesus Christ offering him the whole world in exchange for his worship. 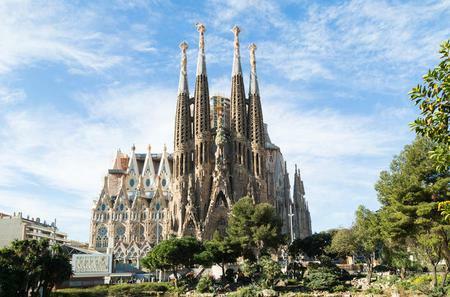 At the top there is a magnificent church designed by Enric Sagnier, Templo Expiatorio del Sagrado Corazón (Expiatory Temple of Sacred Heart) surmounted by a statue of Jesus by Josep Miret Llopart. 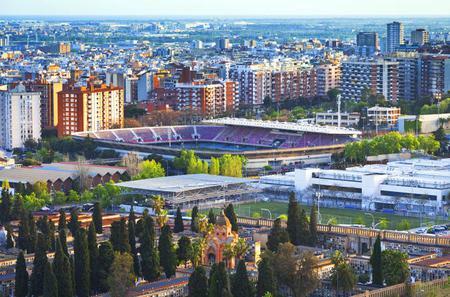 It is surrounded by an amusement park, Parc d’Attractiones, which was established in 1901 as Spain's first amusement park. 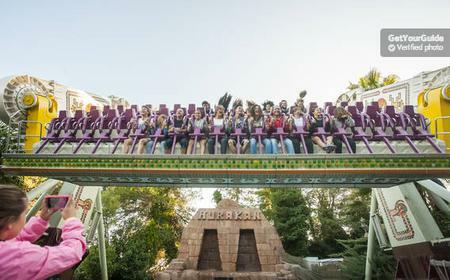 The park has 6 levels of attractions, including carousels, Ferris wheel, Pony Rodeo, Marionetarium puppet show, Crash Cars, Castell Misteriós, Tibidabo Express roller coaster, and Muntanya Russa roller coaster. 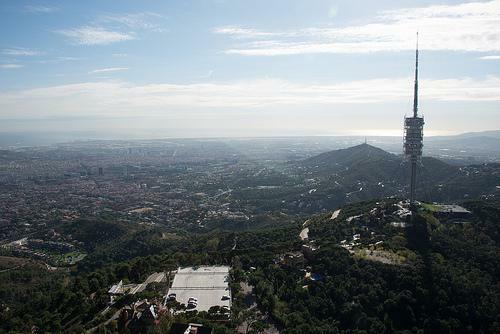 The Torre de Collserola is a 288 metre high modern telecommunications antenna designed by Norman Foster for the 1992 Olympic Games, with a viewing platform in the middle. The pavilion of Ràdio Barcelona by architect Nicolau Maria Rubió i Tudurí was erected in 1926-'29 as the first example of architectural rationalism and the first radio station that in Spain. The Hotel Florida, built in 1925 by architect Ramon Reventós and inspired by American architecture of the era, stands out as a pearly white building in the mountain landscape. 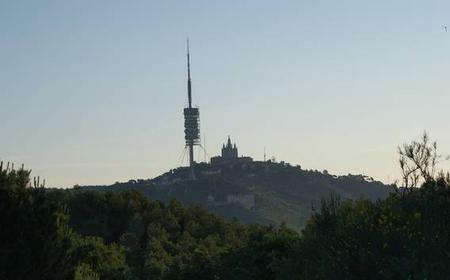 The Torre Pastor de Cruïlles by Josep Puig i Cadafalch, Torre de les Aigües de Dos Rius by Josep Amargós i Samaranch, Fabra Observatory, and Villa Joana of the Museum of History of Barcelona (MUHBA) are other points of note on the Tibidabo. The CosmoCaixa Science Museum lies at the foot of the mountain. 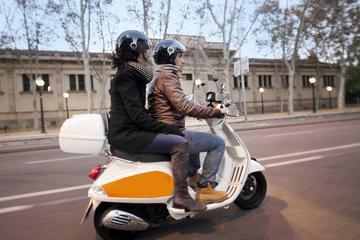 The Tibidabo Avenue around here is lined with beautiful Modernist buildings from the early 20th century. 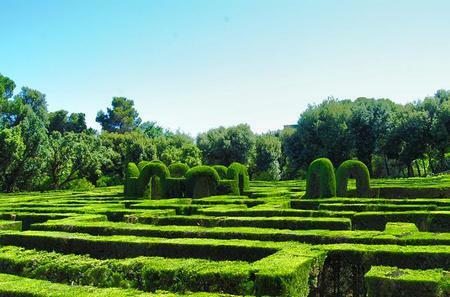 You can find the Gaudi-influenced Neo-Gothic Convent of Valldonzella by Bernardí Martorell, La Rotonda by Adolf Ruiz i Casamitjana, Casa Roviralta or Frare Blanc, Casa Casacuberta and Casa Fornells by Joan Rubió, Casa Muntadas by Josep Puig i Cadafalch, and Casa Arnús or El Pinar by Enric Sagnier. 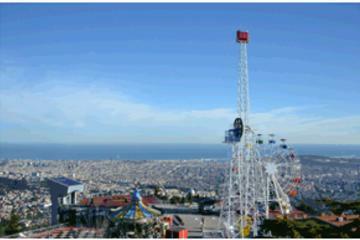 Tibidabo can be reached by the Tramvia Blau which runs from the Avenida Tibidabo Train Station (Route L7) to Peu de Funicular, followed by the funicular railway to the top. 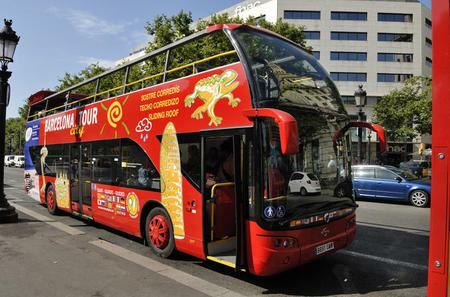 Alternately take the Tibibus 2A which runs every 20 minutes from Plaça de Catalunya to Tibidabo.